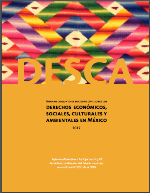 In March 2018, after examining Mexico’s compliance with the International Covenant on Economic, Social and Cultural Rights (ICESCR), the UN Committee on Economic, Social and Cultural Rights approved among its final observations a recommendation on the priority of human rights and social participation when implementing the 2030 Agenda for Sustainable Development at the national level. The Committee also stressed that the 2030 Agenda and its Sustainable Development Goals are not an end in themselves, but tools for the ultimate goal of realizing human rights, and asked the Mexican State to integrate the final observations into the work of the National Council of the 2030 Agenda. If the Mexican Government takes these recommendations seriously, it could trace an effective implementation route for the 2030 Agenda, but current policies are far from what is needed, as can be seen from the following analysis. In the more than 11 years since Mexico’s last periodic review by the UN Committee on Economic, Social, and Cultural Rights, international scrutiny of the human rights situation in Mexico has centered largely on civil and political rights. However, the human rights crisis in our country also includes a multiplicity of economic, social, cultural, and environmental (“ESC”) rights violations committed by state and non-state actors, through acts and omissions that remain in impunity. In this context, the undersigned civil society organizations and networks submit this Alternative Report to the Committee with the aim of contributing to its important and urgent work in the supervision of the situation of ESC rights in Mexico. The report reflects our collective experience of many years in the investigation, documentation and defense of these rights, and seeks to clarify the current situation in the country, as well as identify key obstacles, setbacks, limitations, and challenges for the full enjoyment of ESC rights. The report points out that water issues affect women disproportionately. “When there is a shortage, irregular delivery or bad quality water, women spend more time to bring water to their homes, boil it, filter it and deal with the authorities, frequently adding up to 30 hours a week to their domestic work.” The Mexico Social Watch report emphasizes that “insufficient and ineffective regulations on environmental and social impact, have led to numerous cases of violation of fundamental rights due to business activities”. Las privatizaciones del sector público han servido para empeorar las condiciones de vida pues exacerban las desigualdades, y ponen en peligro el cumplimiento de los derechos humanos. México. Erradicar la pobreza extrema para el año 2030, una aspiración central de los Objetivos de Desarrollo Sostenible (ODS) de las Naciones Unidas, es posible, pero sería necesario cambiar los actuales enfoques de política pública impulsados en el mundo, de acuerdo a un estudio. Elaborado por una coalición de organismos civiles y sindicatos, el documento señaló que la erradicación es posible con los recursos económicos actuales en el mundo, pero las políticas públicas que podrían lograr ese propóstico han sido severamente debilitadas en las últimas décadas. The Mexican legal framework on energy amended in 2013 and 2014 presents obstacles to the exercise of human rights as well as to achieving the SDGs, as it prioritizes the activities of exploration and exploitation of hydrocarbons "over any other involving the use of the surface and subsurface of the lands concerned". The framework establishes several legal provisions such as the determination of legal easements for hydrocarbons to public, private, national and transnational energy projects (some of which employ harmful techniques such as hydraulic fracturing or fracking), which constitutes a regression in terms of human rights and the environment, while seriously compromising the achievement of the SDGs. CIUDAD DE MÉXICO (apro).- Al favorecer los megaproyectos por encima de los derechos civiles, políticos, sociales, culturales y ambientales de la población mexicana, la reforma energética pone en peligro el cumplimiento de siete de los 17 Objetivos para el Desarrollo Sostenible (ODS), según la organización Social Watch. Con estos objetivos, los países miembros de las Naciones Unidas aspiran a erradicar la pobreza, reducir las desigualdades, proteger la naturaleza y promover los derechos humanos en el mundo hacia el horizonte 2030.